explaining our online information practices and the choices you can make about the way your information is collected and used. To make this notice easy to find, we make it available in the footer navigation of every page on the website. Collected web form data is not made public. 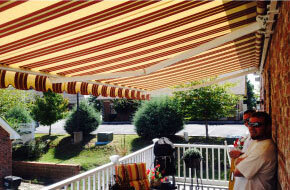 All form data is protected and accessed by Awnings & Canopies Over Tennessee employees and our Service Providers (please see “Service Providers”). 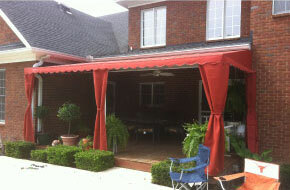 Awnings & Canopies Over Tennessee uses a web analytics service offered by Google which tracks and reports website traffic. Google uses the data collected to track and monitor the use of our website. This data is shared with other Google services. Google may use the collected data to contextualize and personalize the ads of its own advertising network. 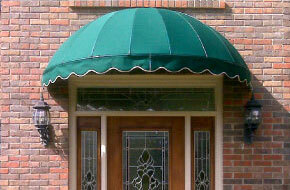 Awnings & Canopies Over Tennessee may occasionally use an online advertising service developed by Google, through which we may pay to display brief advertisements, service offerings, product listings, and video content within the Google ad network to web users. Google Adwords uses conversion tracking to help us see when ads lead to conversions from various sources. For example, Google Adwords makes it possible to track when a visitor completes an action on our website. This could be, clicking a link, or any other valuable action. Limit the Information that You Provide: you may choose to not use the form available on the Contact page of our website. You may instead choose to call 931-980-9314, or email info@awningsandcanopiestn.com.